Fabric built a website that matches Trueform Spa's reputation. Trueform Spa Pools build top-quality spa pools made right here in New Zealand and sell them around the world. With 35 years’ experience of manufacturing spa pools to the highest standard, they have nailed producing spas for guaranteed relaxation. Making them stand out from their competitors. 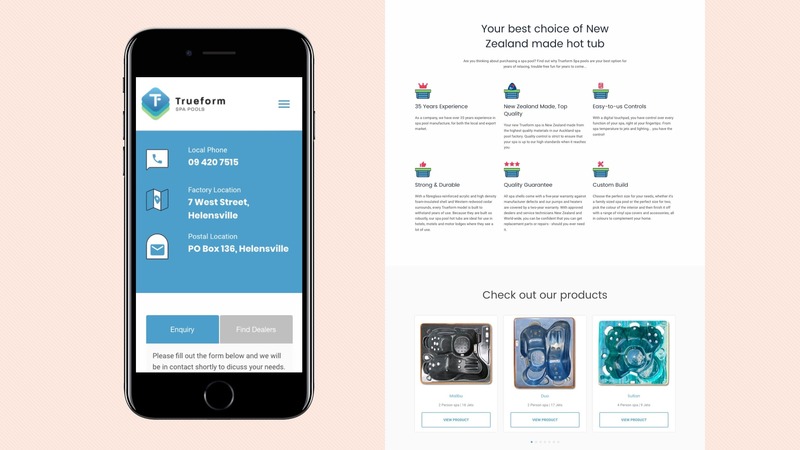 Creating a new look website for Trueform Spas helped reinforce their strong position in the New Zealand spa pool market. 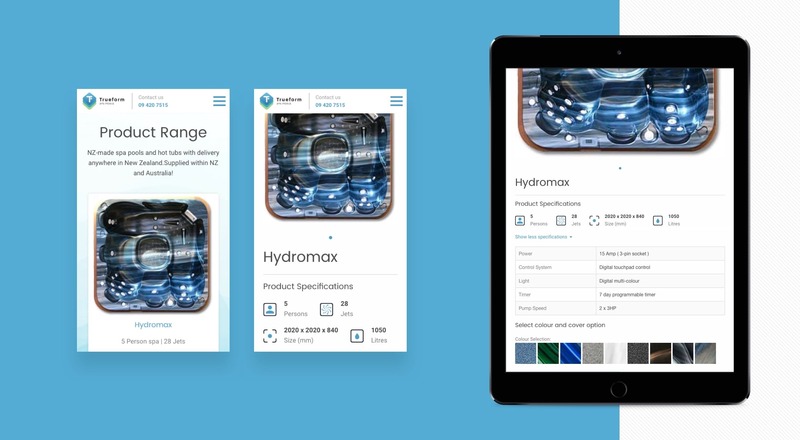 It helped them stand out from other mass-produced international spa pool brands. The website has a luxurious feel, with a tranquil colour scheme – reflecting the kind of relaxation you will experience when soaking in a Trueform Spa Pool. Helping their clients customise their perfect spa pool. This website showcases the benefits of buying a locally produced spa pool, offering a spa pool customisation feature allowing you to design the perfect spa pool to meet your family’s needs. 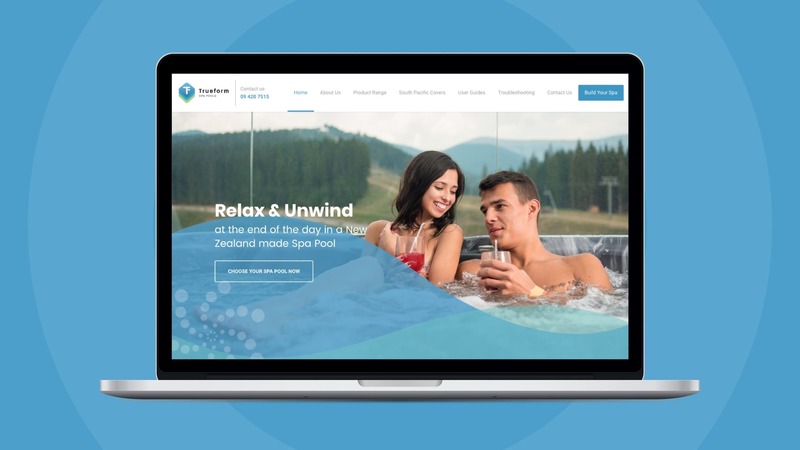 This new website not only reinforced their brand, it also set them up as a strong competitor to that of much larger international spa pool companies. Creating a steady flow of web enquiries. Fabric increased True Form Spa Pools' web enquiries through a strategic implementation of Google AdWords. Fabric researched their key competitors and mapped out what keywords had the highest chance of conversions. After finalising their AdWords strategy, Fabric deployed the campaign and successfully increased the amount of web enquiries received through their website.